hey friends! still in WV, but here's another classic post for you. MAN i loved this book. Grace and Sam, who have been in love with each other for years...just in an inter-species kind of way...have finally connected. the chapters alternate narrators between Grace and Sam, which gives us a sweet insight into their personality and into their view of one another. but, just because Grace and Sam are finally together, doesn't mean that everything is hunky dory with these new loves. there is a dark element, an impending doom and a sad past that permeates their relationship - not the least of which is the fact that this is Sam's last year to alternate between human and wolf. as the weather continues to drop, Sam get's closer to changing into a wolf and separating from Grace forever. this truly is a love story. 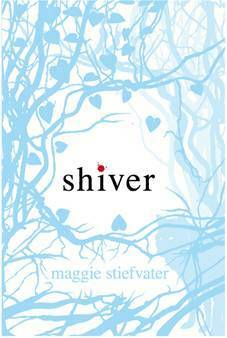 however, this is also a story about brokenness and finding a place where you belong, which Stiefvater weaves into her story naturally and shows the reader that finding our place is different for each of us. this book packs an intensity, particularly near the end, rich with taught emotions and the unsteady dare to hope. without spoilers, i want to say that the conclusion was extremely well done - in plot and in style. fix er up: i had a tough time getting to form a connection with the characters. i liked their story, but i wasn't emotionally invested until about halfway through. i wasn't sure what made them tick as individuals, only together...but maybe that was the point? Oh god, I love this story! I can read this trilogy over and over again and never get sick of Grace and Sam!